I’m not a diet or fitness expert but I have helped many of my clients successfully lose weight or make significant changes in their life. This includes even those who always start with the best intentions only to discover that they lasted a few days or weeks. Many of us right now are starting 2012 with the realization that all the festive parties, dinners, and celebrations we attended added extra pounds to our waist and now want to shed them before we head off on winter/spring vacations. So what is the key to maintaining a success diet, or exercise regime? Well the first step is to learn how to mindfully reframe your image or thoughts prior to initiating any new programs in your life. Most people who are dealing with weight problems are holding on to some type of a negative self-judgment about themselves whether they are aware of it or not. This prevents them from discovering the power to change their lives for the better. When we switch to more positive thought patterns, it is far easier to let go of the resistance that is holding us back from making a change in our lives, and moving forward with confidence. Often, the rational mind will string together a series of distortions. For example, instead of simply noticing “I am overweight,” the mind will generate the thought, “I’m fat, which is why I’ll never have friends, find a romantic partner or be loved; my extra weight makes me unattractive and unworthy.” You may not even be fully aware that you’re embellishing your self-judgments in an unwholesome way. Even when we start to lose weight the mind will continue to play these unwholesome thoughts about ourselves, which results in sabotaging our efforts. I recommend to my patients before they start a diet or exercise regime to lose weight that they first identity any negative self-judgments and then work on reframing them. In my book, Wise Mind, Open Mind I outline a simple and effective five step technique to help readers identify their unwholesome beliefs and transform them. For example, if you have identified a self-judgment that you are “un-loveable because you are overweight” then you might reframe it by separating and isolating the statement. First ask yourself, “Is it true that I am un-loveable?” If you believe this to be so, then can you amend the statement to accept that as you develop more wholesome or mindful attitudes around eating that you can also learn to embrace acceptance and compassion for yourself even when you are not at your ideal weight thus making it possible to love yourself now? In Zen philosophy this is both profoundly and simply learning to accept who and what you are in the moment. As you do this work you may never totally rid yourself of your negative self-judgments. 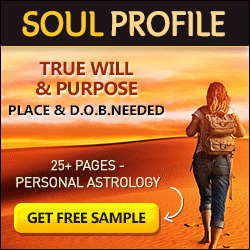 However, it is possible to alter their quality, so they no longer block or sabotage you from achieving your goals in life. Mindful eating means learning to mindfully nourish ones self-esteem in the Zen moment. As we reflect and understand our resistance to a healthy diet we start to develop a wise mind by learning to accept ourselves right here and now rather than anguishing in the idealized disparity of where we are now and where we want to be in the future. Now I’m not suggesting that in service of just being here and now it’s alright for everyone to line up at the Chuck Wagon for a big chow down by casting off mindful restraint and impulse control. But what I am proposing as we all do our best to lose weight that we do not feed the demons of unwholesome thinking. If we do slip or fall short of our mindful eating goals it is important not to fall down the rabbit hole by lapsing into old negative self-judgment, self-contempt or self-hatred. To be mindful about our eating necessitates that we develop a Wise Mind to see clearly our emotional hunger then to be able to slow down, wait take a series of deep breaths before we go for that second or third helping. To have a Wise Mind means to be wise and open to identify what we are feeling and thinking right before we get the desire to eat. Ultimately though, mindful eating is not so much about dieting but in reality about our enlightened search for learning to acquire more self-love and acceptance in the cosmic game of transformation. Food, diet, weight gain and lose are only tools to skillfully enable us to spiritually develop. In Zen the symbol of the self is a monk polishing a tile, the student says to the master, “My tile is getting shiny when do I stop?” The master replies we never stop because our goal is not a shiny tile but a mindful and enlightened self. 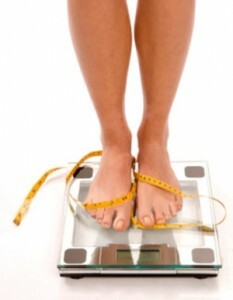 The small gain of losing weight leads to a more significant gain of self-love, tolerance and understanding. This also applies to any change we desire to manifest in our lives whether it is our self image, relationships or career.